Cheesy Pop Culture Quotes or Business Ideas? I read two a few weeks ago that made me ask that question…. We have all heard those ideas many different times in many different ways but for some reason they struck me that day. Both are absolutely great thoughts and good ideas for business. I teach a class in one of our franchisee training weeks that is focused on vision. The message is simple, and one I believe in. The business is yours. No one is going to tell you what to do. Figure out how you want to give Great Harvest to your community and have at it. Know who you are, why you are that way and do what you do with purpose. At the same time, it is always important to remember that we change, trends change, needs change. The world changes, which leads to the second phrase. Don’t forget to evolve. You can always do that and stay true to your core vision but listen to the world around you. 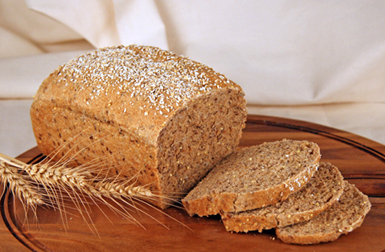 Honey whole wheat is our signature bread. We believe we are your every day bread store but I will be the first to admit the definition of an every day bread has changed so many of our stores now make more breads every day. Like all of our whole grain breads, they are all tasty, healthy, fresh, made daily from fresh milled flour and from scratch. 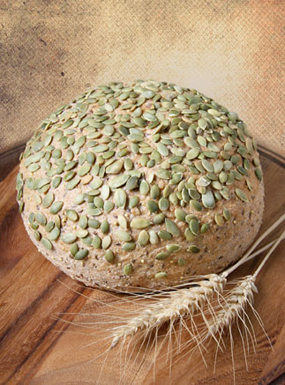 In particular our seeded breads (Dakota, Sunflower, High Five Fiber and Whole Grain Goodness to name a few) are whole grain, incredibly tasty and just not available anywhere else. Stop into your neighborhood Great Harvest today and try one of these breads if you haven’t before. What is your favorite Great Harvest Bread? 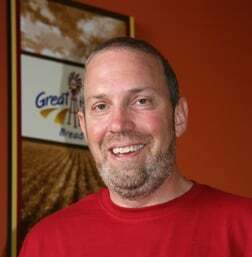 I am Mike Ferretti, the Chairman and CEO of Great Harvest. But, I am also a dad who grew up in a world with old fashioned business ethics. Before Great Harvest, I thought those days and companies were gone. Luckily, I now get to work with a group with a strong moral compass that genuinely lives "Give generously to others" and "Run fast to serve customers." And we do it with more than just lip service in a way that allows us to set an example for others. I am proud that my kids are proud of what I do for a living.